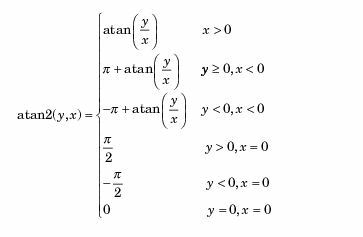 Today, I am going to try to optimize Math.atan2(y,x), atan2 is very useful when working with polar coordinates. -we can subdivide 0..1 into multiple segments with their b offset and k parameter. Last, we can rewrite v3 version by saving in a look-up table the k and b values based on the signs of x and y. How accurate are our versions ? okay ... nothing beats Math.atan2, any ideas to improve the code ? ** UPDATED** , My winner is V3 !!! profiling can be misleading ! I haven’t, but you might want to look at a libc implementation to see how it’s implemented there. Perhaps it applies to AS3. 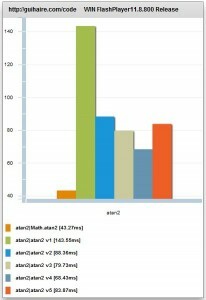 I updated the post, I found a bug in what I was profiling … now all versions presented are faster !!! Viktorious on AS3 vector v[int(i+1)] trick ? etc on AS3 vector v[int(i+1)] trick ? Jackson Dunstan on [Bindable] Slow ! Nemi on profiling can be misleading ! Jackson Dunstan on profiling can be misleading ! 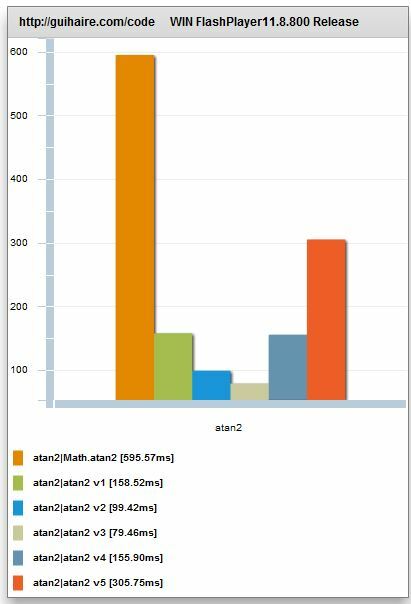 Code Twiddling – Math.log tricks on Log10(a) , Faster ! 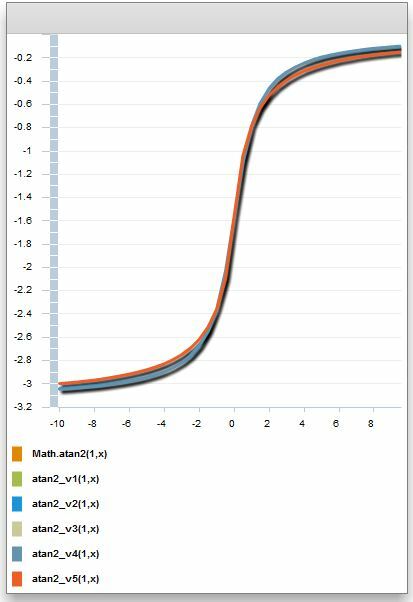 Code Twiddling – Math.exp Math.pow(2,x) 2^x optimizations and tricks on Number to int conversion tricks ! Jackson Dunstan on AS3 vector v[int(i+1)] trick ? benjamin guihaire on Fastest way to sort Numbers ? bwhiting on Fastest way to sort Numbers ?